Before we discuss the happenings in the second workshop, we would like to highlight some of the key organizers of the EU-CLGF project “Localizing the Sustainable Development Goals in the Caribbean” being run by Trinidad and Tobago Association of Local Government Authorities (TTALGA). Dr. Lennise Baptiste is the main facilitator. Her Ph.D. is in Evaluation and Measurement and she works extensively in the Caribbean and internationally. 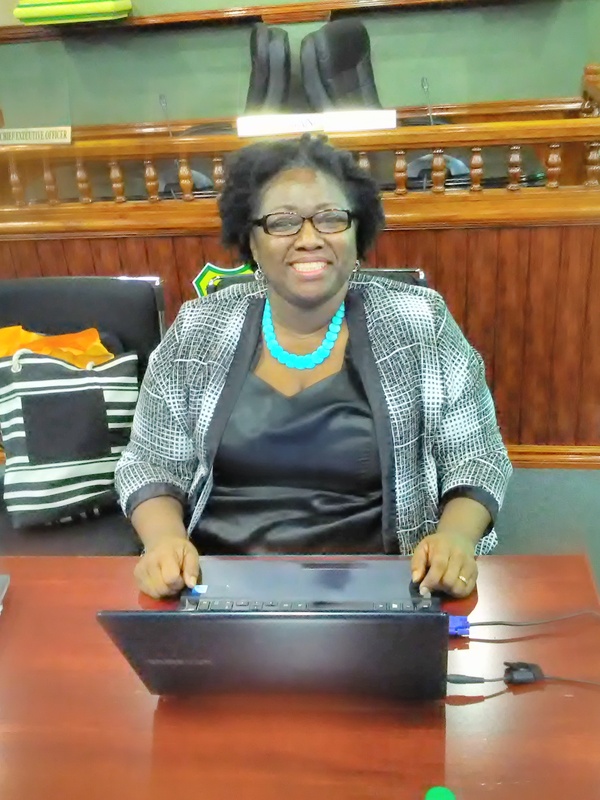 She is Chair of the Caribbean Evaluators International which works towards promoting the importance of monitoring and evaluation in the region. Dr. Perry Polar, the second facilitator, is Project Coordinator at the Caribbean Network for Urban and Land Management. He has extensive experience in the development, writing and execution of projects in several disciplines inclusive of agriculture, environment and land use management. Harrison Phillips of TTALGA is trained in Project Management and coordinates the logistical aspects. Sandra Singh of the Caribbean office of the Commonwealth Local Government Forum is a longstanding member of the local government fraternity and coordinates complementary activities in Dominica and Jamaica. The second Project Management workshop, held at the Penal-Debe Regional Corporation on 12th -13th September 2017, drilled down on monitoring and evaluation (M&E) to familiarize participants with its integration into the planning process and the use of tools. It was noted that proper monitoring and corrective actions during the project life should lead to the predicted output and outcomes which will be picked up in the final evaluation. The thinking behind crafting a vision and mission statements was examined. Vision, it was thought, should be based on projected impact of the project but also if external factors were also favourable, thus pitching to high or too low had to be considered. Developing the Gantt charts allowed participants to see the logical flow of the major activities while the work breakdown structures; and costings gave a more realistic view of the efforts and resources which were much more than originally envisaged. Given the importance of stakeholders in determining the success or failure of a project, mastering the stakeholder analysis tool which would allow for management of the stakeholder engagement process, was viewed as critical learning outcome of the workshop. This was done to allow participants to reassess if they had actually considered all the stakeholders as they originally proposed. The nature of the training was highly interactive and at each step there were presentations by each group which were critiqued by the audience. Interestingly, Port of Spain City Corporation which often has to factor high levels of daytime pedestrian traffic seems to engage the most in ongoing stakeholder consultation with other government authorities to ensure minimal disruption. The SMARTness of quantitative indicators were examined and how they should be phrased so that they can accurately indicate the result. Importantly, it was noted that even qualitative indicators could be supported by some level of quantitative data or by other assessment mechanisms. Two indicators were developed for each project. An interesting discussion ensued on how existing monitoring systems are challenged or compromised and the effectiveness of strategies to address them (e.g. outsourcing, citizen’s feedback, remote sensing etc.) were discussed. It is hoped that the not only capacity in project management was built but also the confidence to advocate for changes in the municipal corporations. The participants will have some work to do using the Project Management and M&E Tools, before the next component of training planned for October. In the third workshop the progress made on the initial results of the demonstration projects will be assessed. Is it better to focus on the finish line or the milestones along the way?